Safety enclosure for 8ft. trampoline with 6 posts. This complete trampoline safety enclosure is suitable for 8ft round trampolines with an overall 2.44m diameter, with 3 feet (6 posts); even the trampolines that are not France Trampoline. 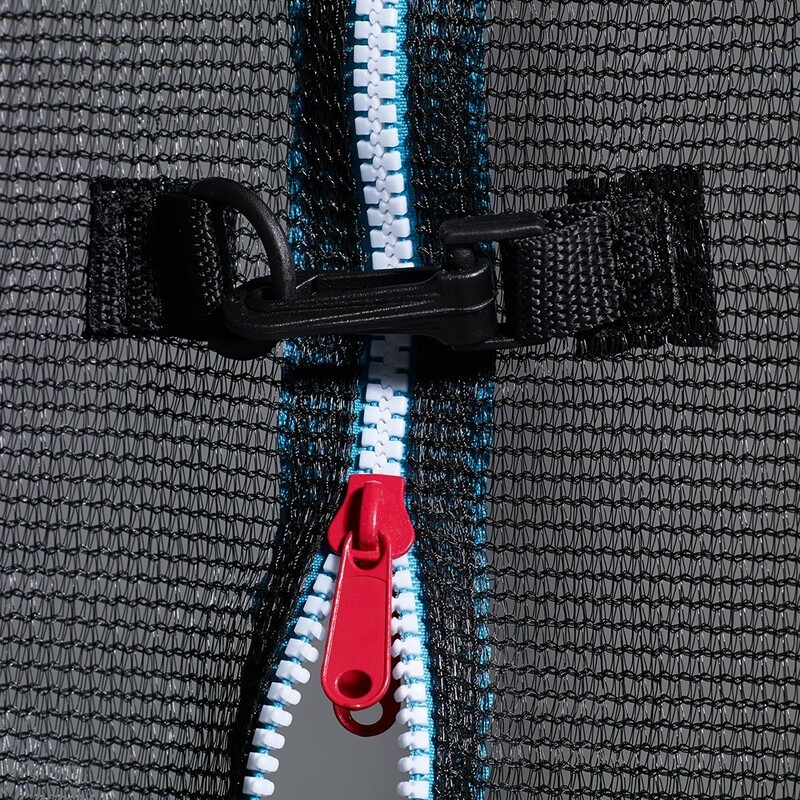 - It has a vertical zip opening. The access to the trampoline has never been easier. This system also allows you to correctly close the access prevent any risk of injury due to an opening in the safety enclosure. 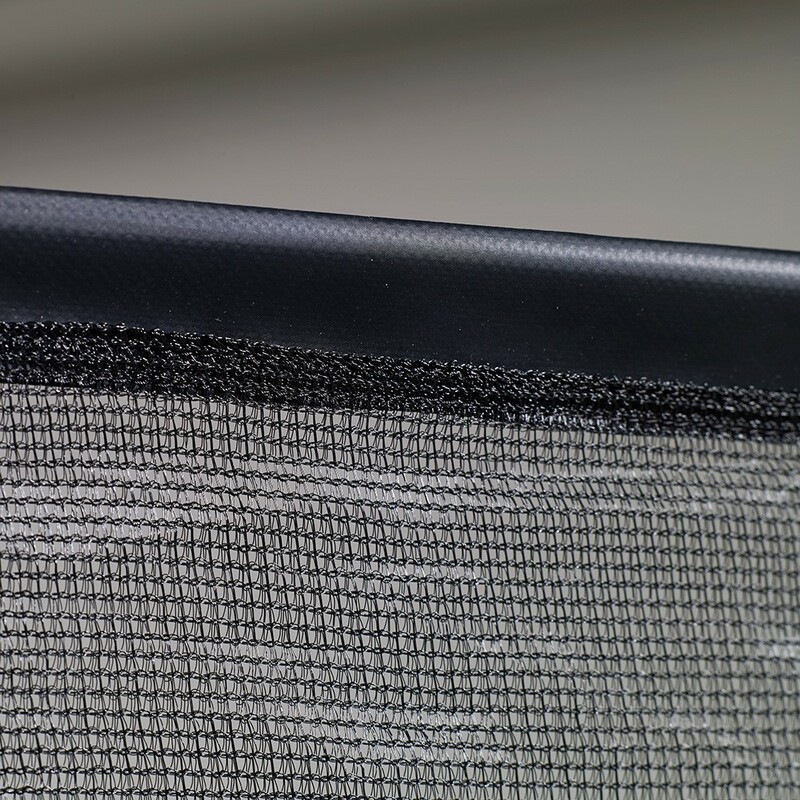 - The net is made from a solid fine mesh polyester: it protects the jumpers and prevents children from catching their fingers in the net. 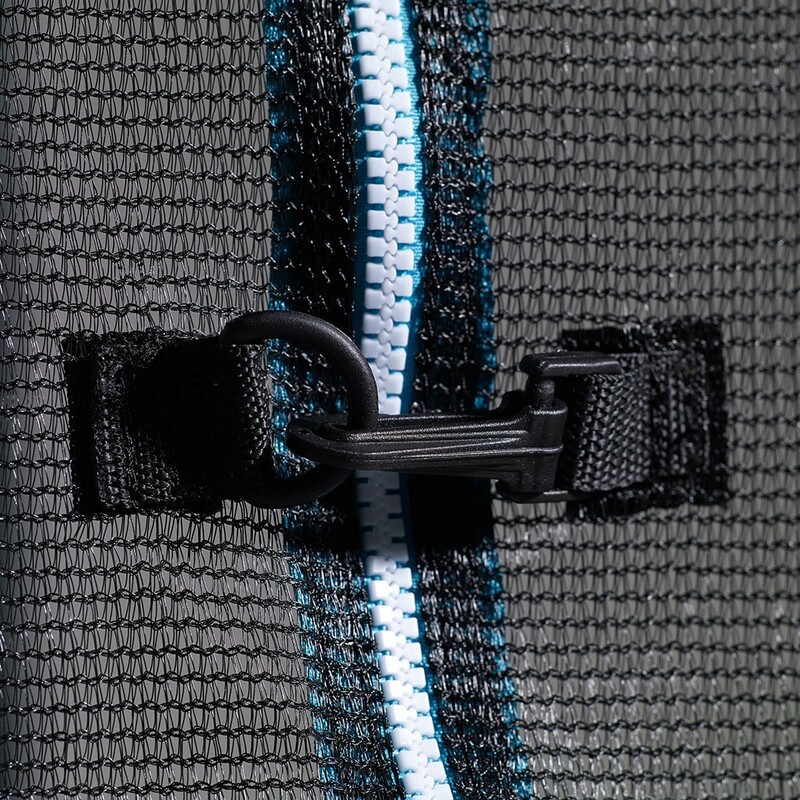 - It is securely fixed to the trampoline with its fixings that can be found under the frame pad: no space to fall! - The net is sold with 6 31.8 mm posts that go straight to the ground and attached to 2 points of the trampoline framework. A real security asset as the net remains completely secured even when the trampoline is in use. - Each of the 6 posts is covered in a cushioning foam and recovered in a black PVC sleeve: there is no risk for the jumper to injure themselves by banging in to a post. 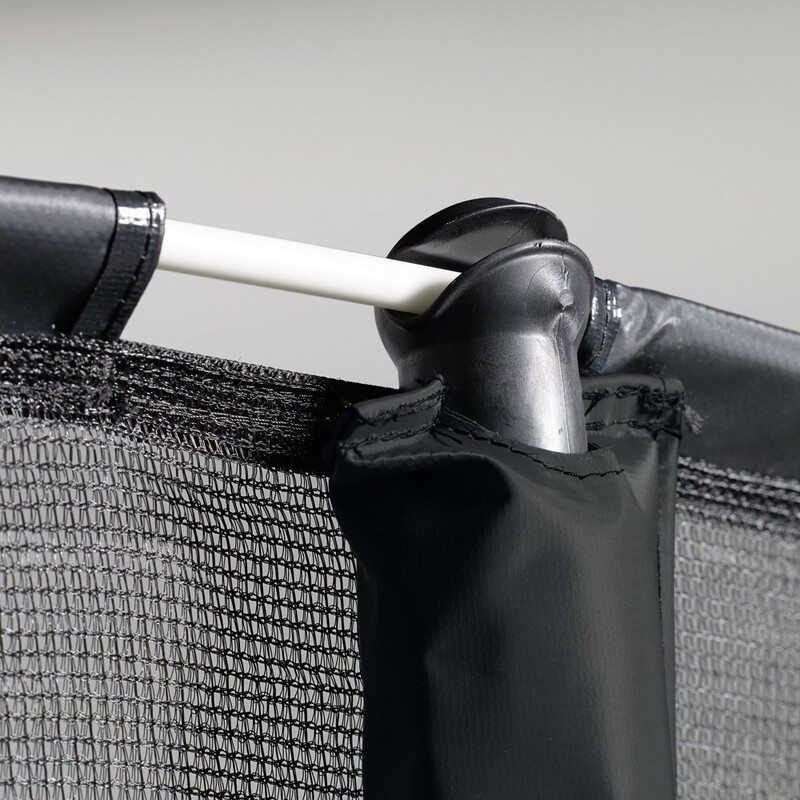 The PVC sleeve is designed to resist UV rays. 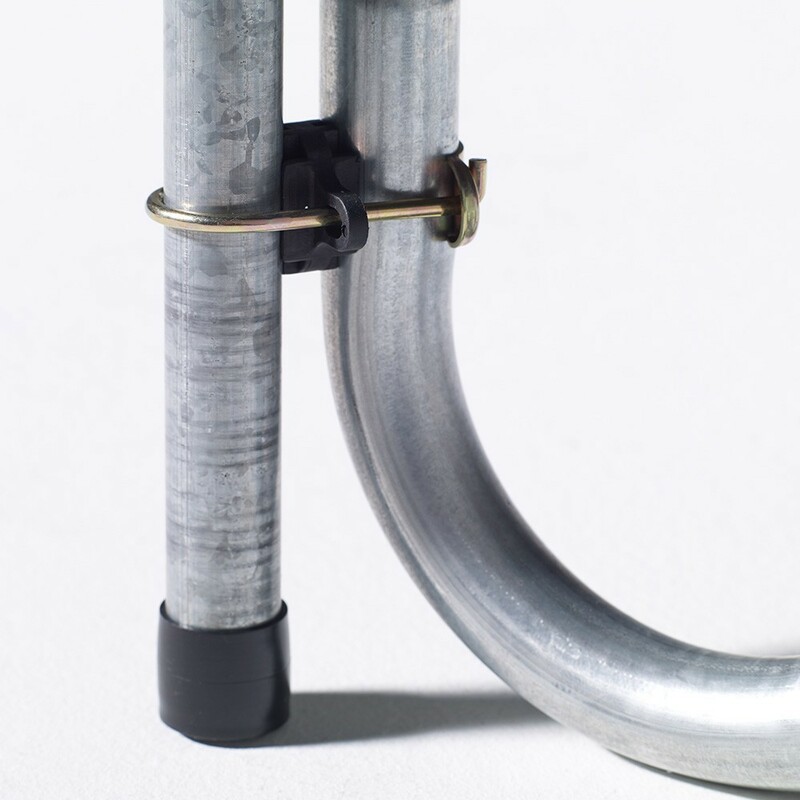 - Made from galvanised steel the posts are resistant to corrosion and outdoor weather conditions. If you don't have anywhere to store them, the safety enclosure posts can stay outdoors without rusting! - The fiberglass rods are found at the top of the net allowing for an optimal tension and an excellent resistance to impact. The netting will remain tensioned after years. 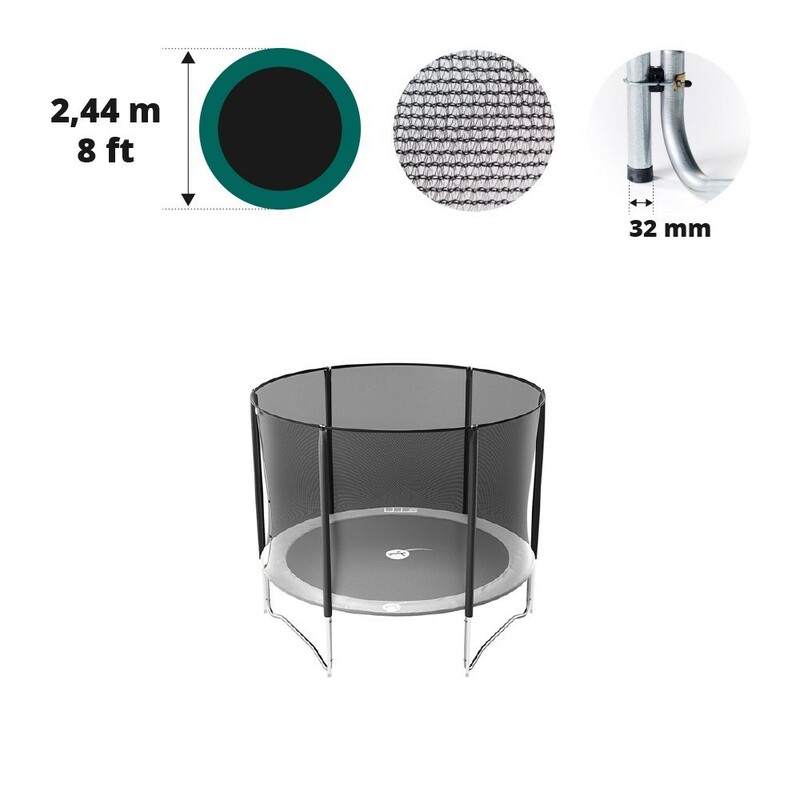 This net fits all trampoline models with a 2.44m diameter with 3 feet. It fits our Jump'Up 250 trampolines bought after April 2016.